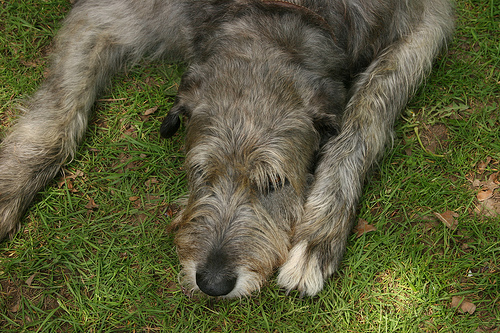 Despite his size, this shaggy-coated sighthound has a peaceful and quiet personality. 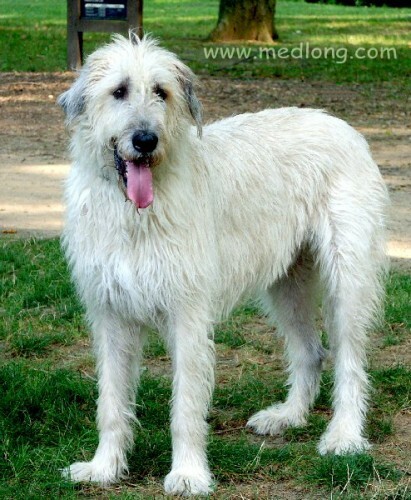 He is affectionate and loves to be with people. 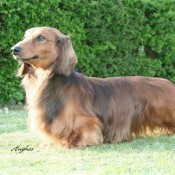 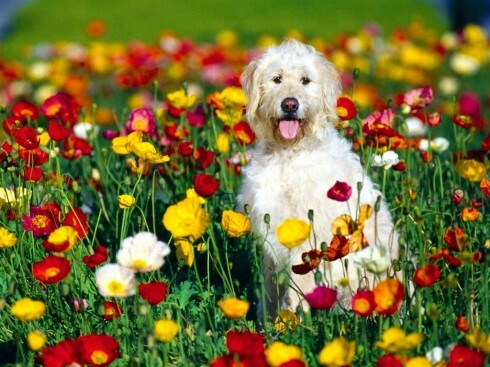 He makes a good pet because he is quiet indoors, after he has outgrown his puppy years. 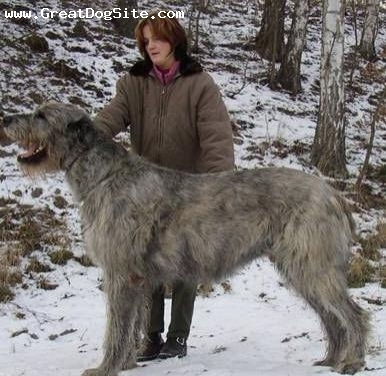 In just six months, these puppies weigh about 100 pounds. 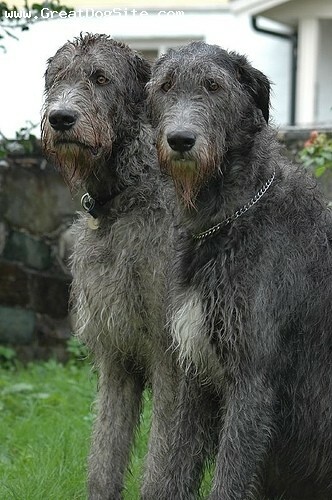 They require a lot of food, space and exercise. 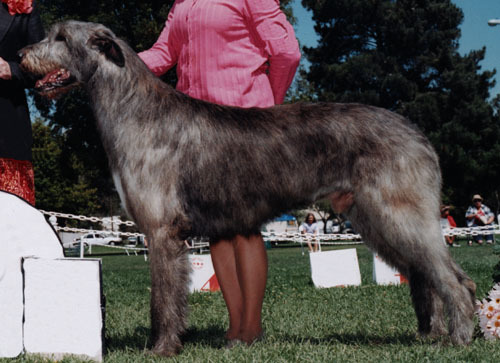 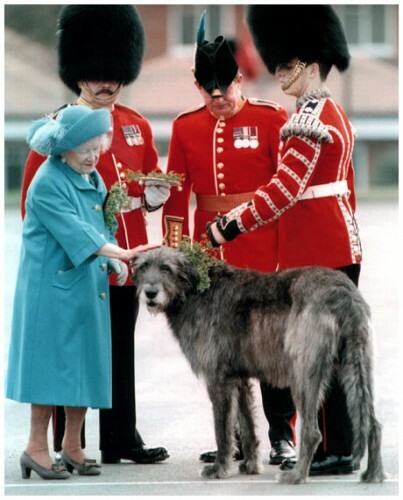 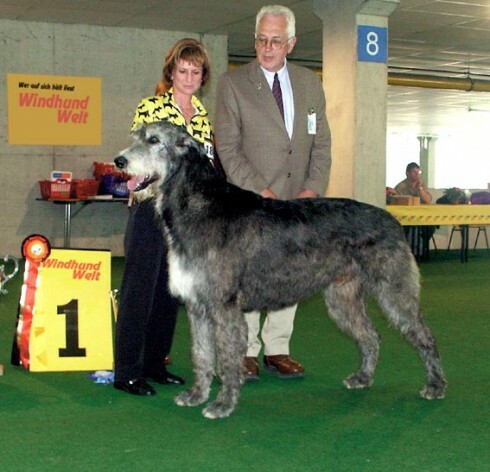 The Irish Wolfhound is the tallest of all dogs. 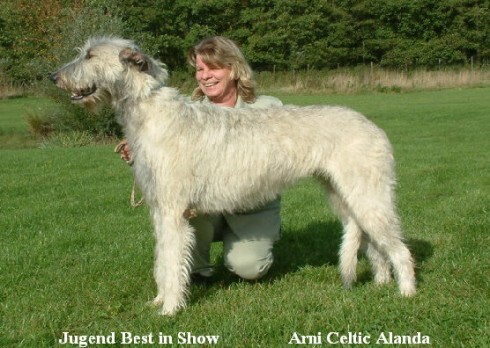 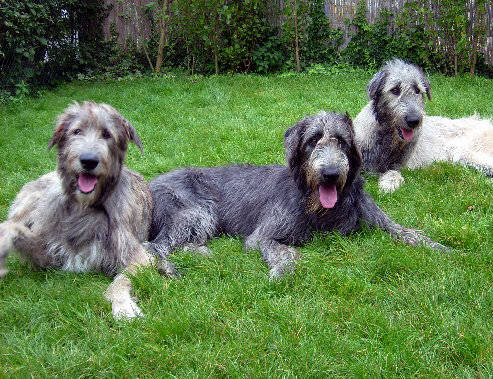 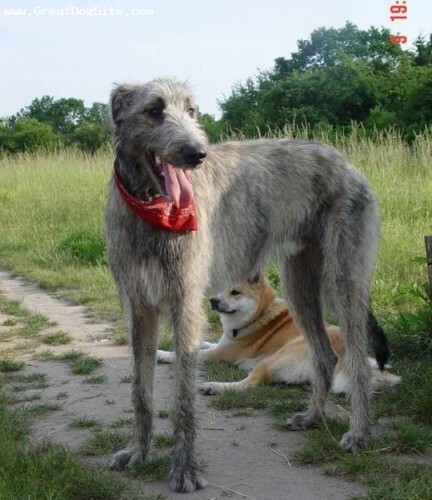 Irish Wolfhounds are called, interchangeably, "Irish dogs," "Big Dogs of Ireland," "Greyhounds (or Grehounds) of Ireland," "Wolfdogs of Ireland," "Great Hounds of Ireland." 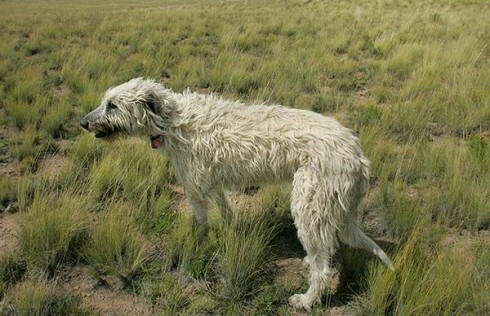 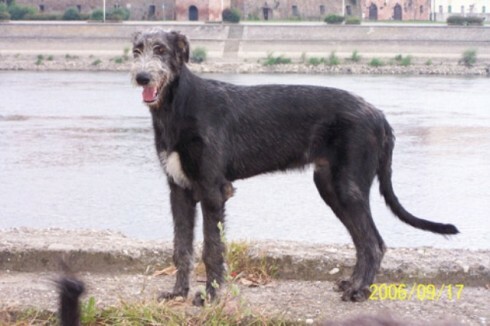 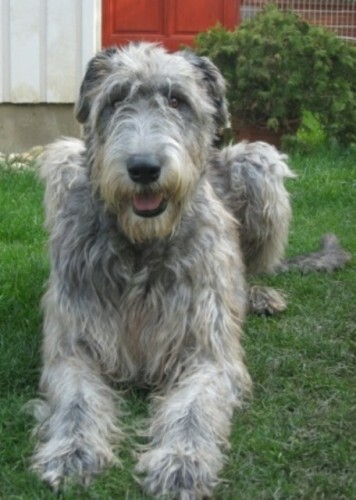 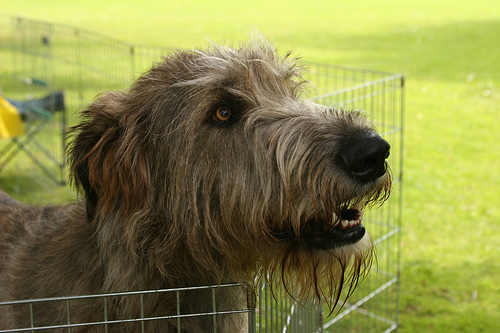 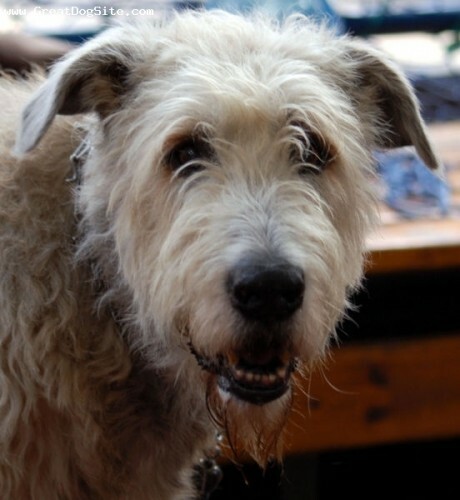 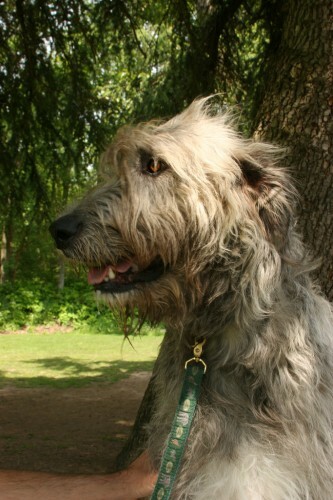 Irish Wolfhound is the more modern name. 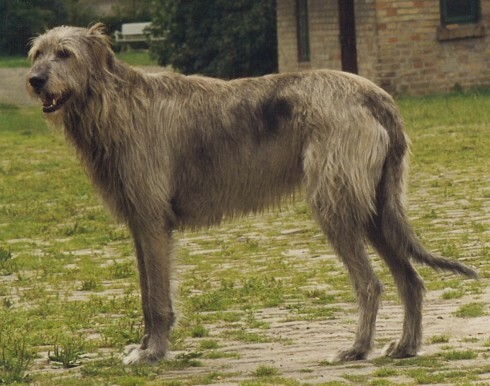 By the year 391 A.D., the breed was known in Rome, when the first authentic mention of it was written by the Roman Consul Quintus Aurelius, who had received seven of them as a gift which "all Rome viewed with wonder." 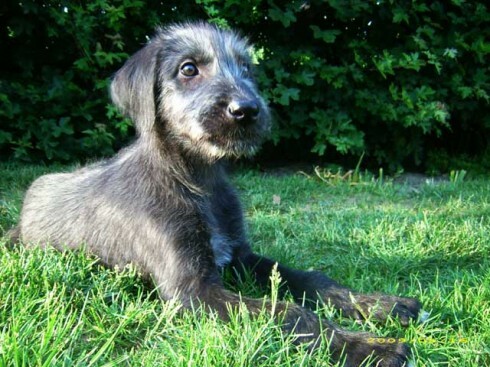 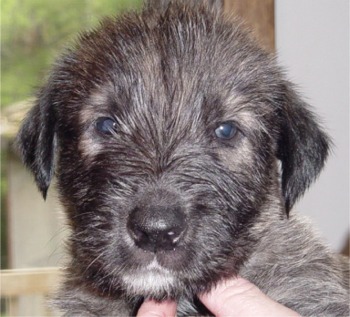 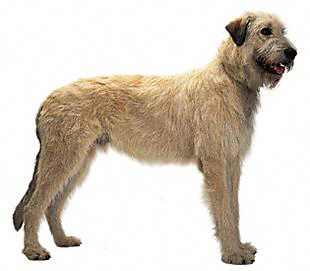 So you want to own an Irish Wolfhound? 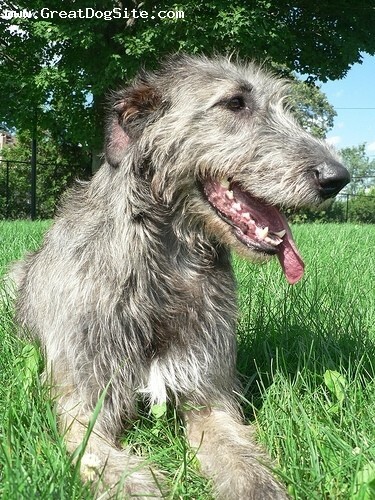 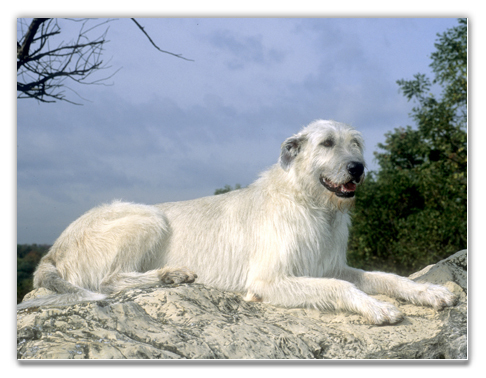 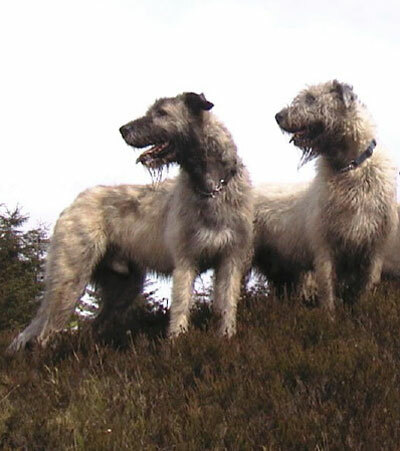 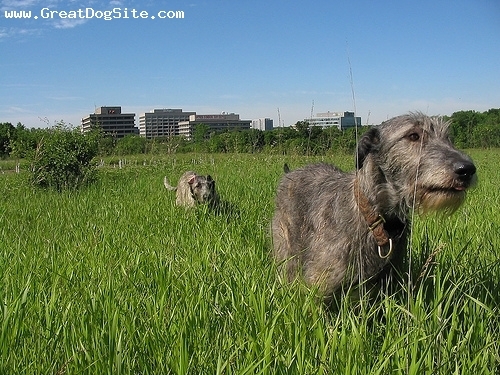 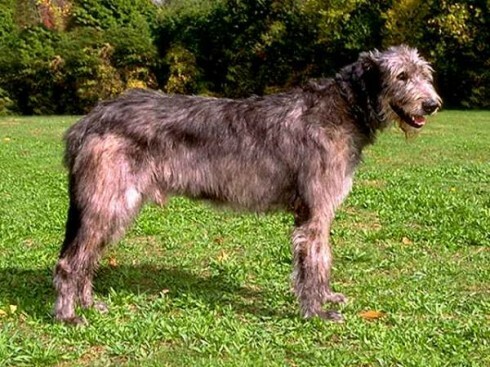 The Irish Wolfhound is a remarkable combination of power, swiftness, and keen sight. 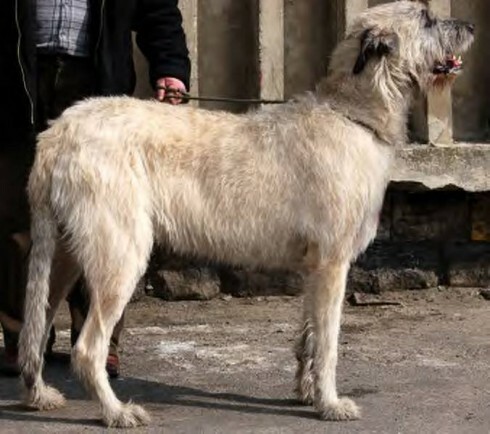 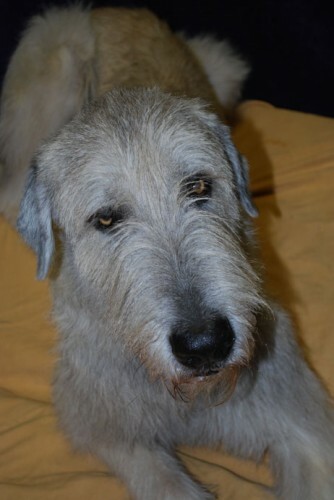 The Irish Wolfhound is a large sensitive dog who requires lots of space to accommodate his great size, and an owner who can give him companionship. 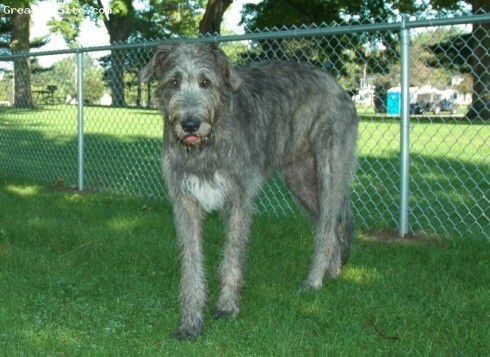 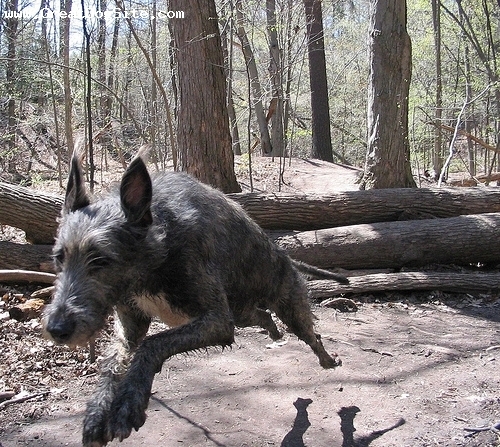 Irish Wolfhounds should never be allowed to run loose.